Apple has been rumored to be launching a credit card service of its own, partnering with Goldman Sachs. The Apple credit card would integrate tightly within iOS, particularly the Wallet application. Reports have pegged Apple as have been testing rings -- similar to those used in the Activity app -- to help track spending from right within Wallet rather than in a separate app. I’m happy to see this. The guy I had clean my gutters last year runs a fairly small operation but has online bill pay with Apple Pay as an option. So great. I hope more of the smaller businesses I use get an Apple Pay option soon. I use the bill pay service from my bank -- I don't know which payment processor they use. But (knock on wood) it works! A major benefit is that I can schedule payments to happen automatically whenever I want them. Initially I used it for recurring payments that don't change -- like my cable bill. But eventually I added all of my bills - including utilities. So, now I just send the gas company $75 a month all year round -- so that even helps with budgeting. All I do when the bill comes is open it and check it to make sure everything is in order. The only bills not fully automated are my credit cards -- but I even have it sending them a a few dollars on the first of each month just to eliminate late charges in case I screw up paying their actual bill. A side benefit is: If I get sick or hurt and can't pay bills for a few months, I have no real worries. Except for a handful few (like doctor's bill's that I can't predict) everything is pretty well covered and paid automatically. This service is free to me -- and the bank makes out because they send most payments as ACH transactions which is far cheaper for them than processing checks. 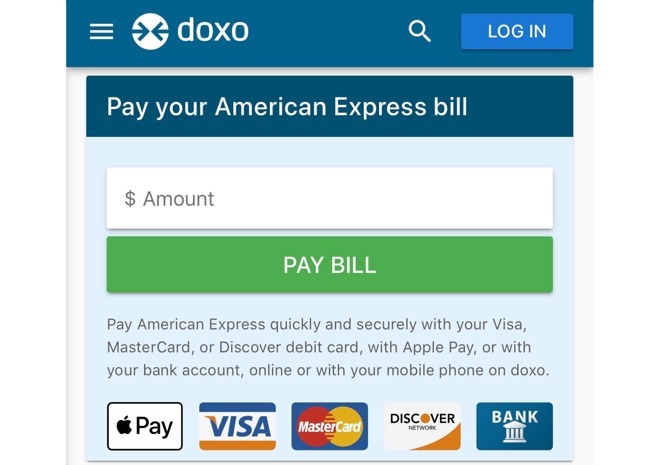 I'm completely unfamiliar with doxo, and use my bank for bill pay. It generally works well, but is limited in the number of my payees that can receive an electronic payment vs a physical one. If another method can reach more vendors and use Apple Pay, it may be worth my time to do some research.